Communities in Leer, Southern Liech State are receiving assistance after over 2 months of suspension of aid distribution to the area. The suspension came amid insecurity and clashes in the region. In April this year, the International Committee of the Red Cross suspended activities in Leer, after its compound was attacked by armed men. ICRC also evacuated its staff from the area due to the conflict. 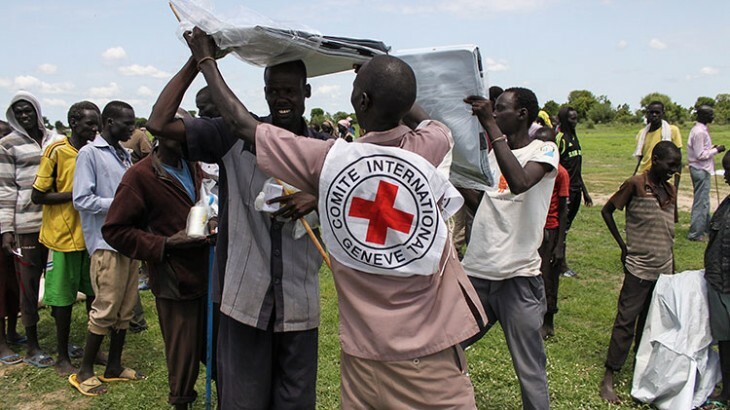 Today, Erika Tovar, the Spokesperson for ICRC in South Sudan confirmed to Eye Radio that they have now been granted safe access to the community for aid distribution. Ms Tovar said that the first distribution took place yesterday in Loth, and the aim is to reach more than 3,000 families. “It has been very tense and volatile, [but] we finally got to do the delivery of this assistance now, [although] it has been a little more than two months,” said Tovar. Ms Tovar added that their team on the ground found the communities in a dire state, living under trees, and feeding on wild fruit and fish. “Some people managed to bring some things with them [when they fled], but they are in very bad shape, almost useless,” a resident of Leer told ICRC. “We have been moving in and out of this area for five years because of fighting. Every time we leave, our things get looted or destroyed,” the resident said. Tovar hopes that the humanitarian access to civilians is not temporary. “They need for the humanitarian organizations to be able to reach them. We are hoping this is not something temporary, but something we can keep doing…reaching people in a safe way,” She said. The organization plans to reach food assistance to Leer town, Padeah, and Dab-lual over the next seven days. “Our aim is to help thousands of families in and around Leer, many of whom have been forced to flee their homes—often more than once—and are living without food, shelter, and even the most basic services and are at-risk of diseases that can be fatal if left untreated,” said Beatrice Oechsli, ICRC’s Deputy Head of delegation in Juba. ICRC has been evacuating by air people wounded in the fighting in the Leer after obtaining safe access from the parties to the conflict. But it said the volatile security situation since fighting erupted in the beginning of April prevented relief items from being distributed. “Continuous humanitarian assistance will be critical to ensure communities do not slide deeper into hunger and their needs are met,” said Oechsli.